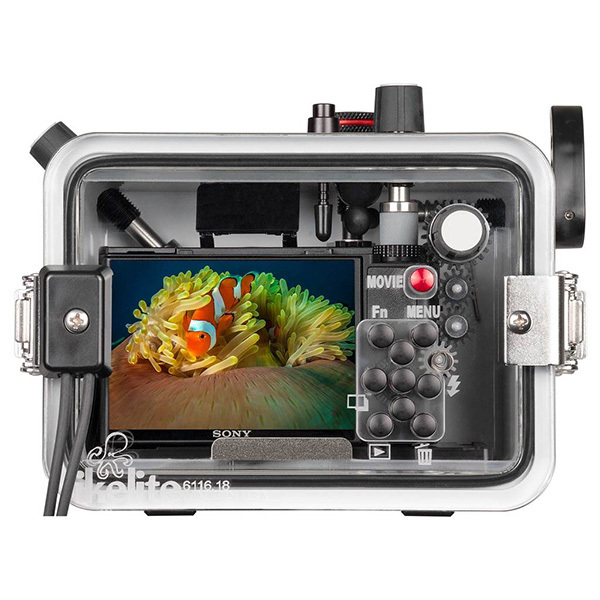 A full featured and durable underwater housing for Sony Cyber-shot RX100 VI digital cameras. Perfect for scuba, snorkel, surf, pool, and any application in or around the water. Sony's 2018 model in the huge RX100 series sports an extended, 24-200mm f/2.8-4.5 zoom lens with enhanced image stabilization. Having a longer zoom reach compared to previous RX100 models makes this a great choice for overall travel photography. 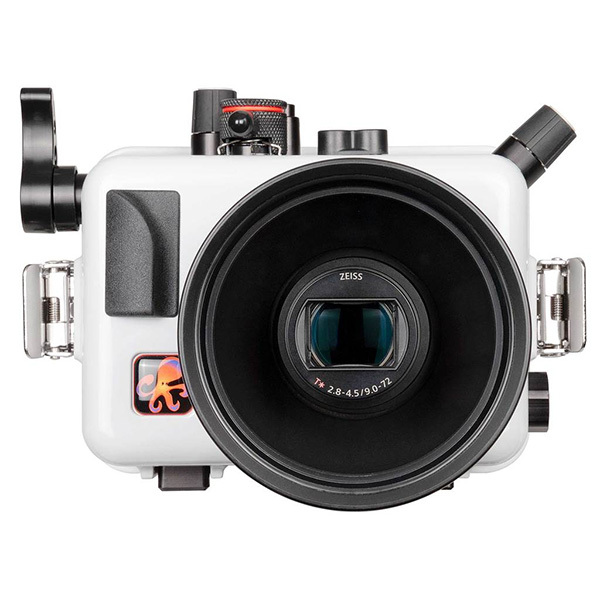 A large 20MP 1" sensor and incredibly fast autofocus make for great images above and below the surface... plus stunning 4K UHD video recording all in one very compact body. Ikelite's ABS-PC blend housing provides strength and corrosion free performance year with minimal maintenance. The specially formulated color deflects the sun to keep your camera running cooler, longer. 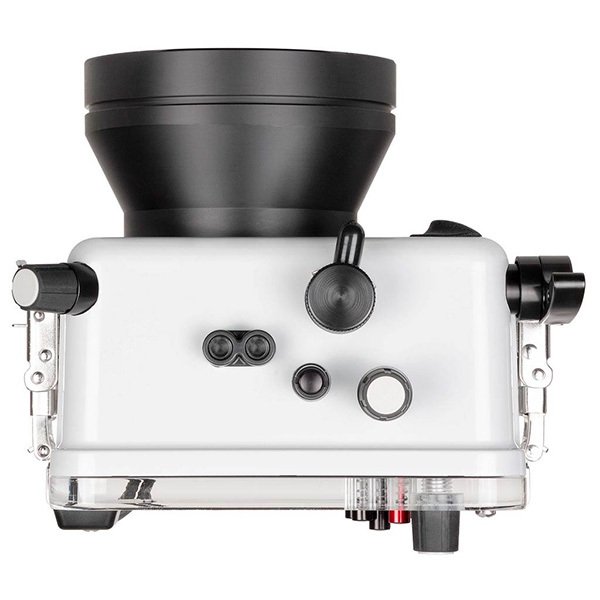 Compared to black or clear housings, the light color provides superior contrast for enhanced view of the camera, LCD screen, and o-ring seal. Ikelite products are designed, built and tested in the USA. We use locally sourced, top-grade materials. 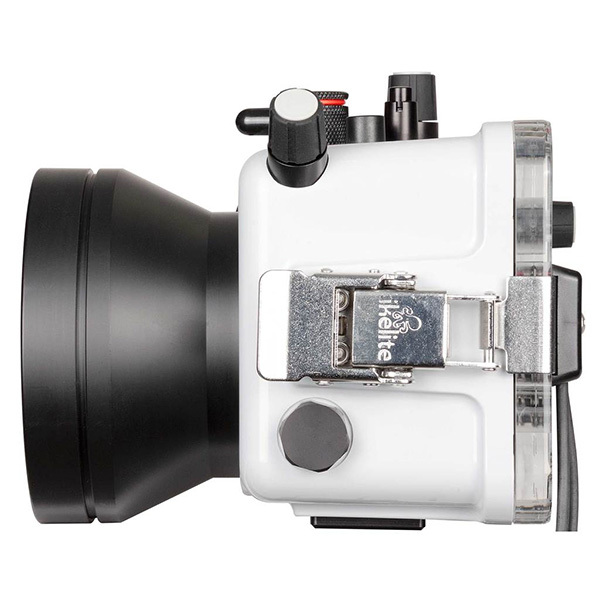 Ikelite's housings are built by hand and individually tested for fit, function and waterproof integrity. 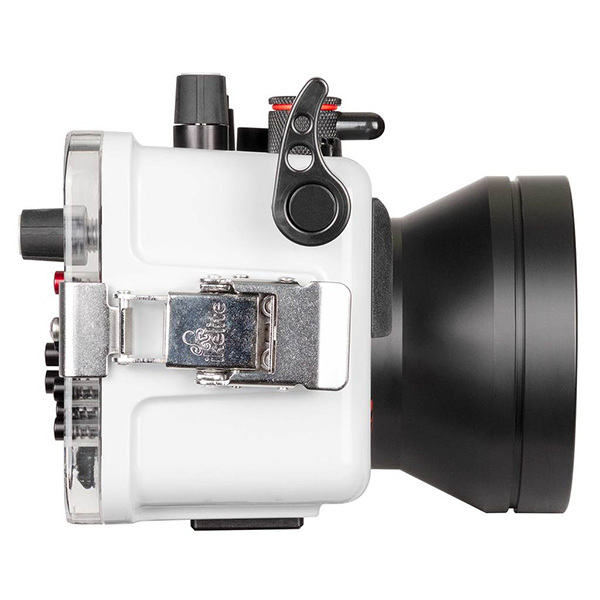 Add the press-fit Macro Adapter # 9306.82 with any 67mm threaded macro wet lens for incredibly super macro photography. Compatible wet lenses include but are not limited to the INON UCL-165, Subsee Magnifier, Saga close up lenses, Nauticam CMC-1, and others. 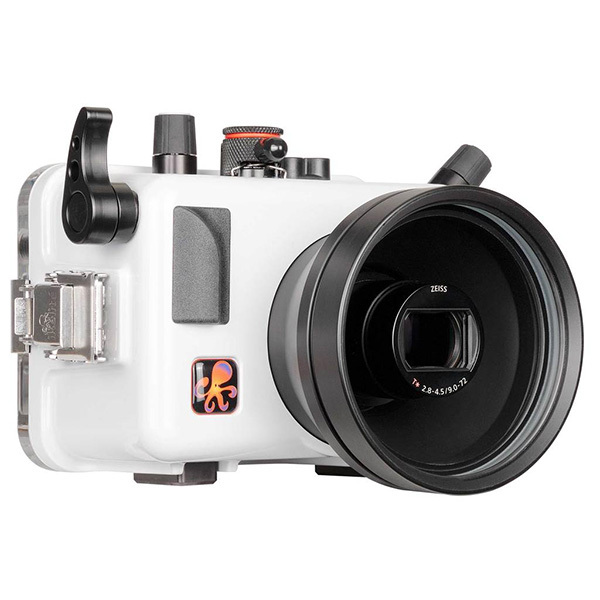 This port is optimized for use with wide angle wet lenses designed for the 28mm equivalent focal length, including the INON UWL-H100, Nauticam WWL-1, and others. Some vignetting (dark shadows around the edges of the image will be present at wider focal lengths. We recommend zooming to eliminate vignetting or cropping your images in post-production. The front of the port also accepts 67mm threaded macro wet lenses by INON, Subsee, Saga, Nauticam, and others. Every unit is water pressure tested to 200 feet (60m) before it leaves Ikelite's facility in Indianapolis.